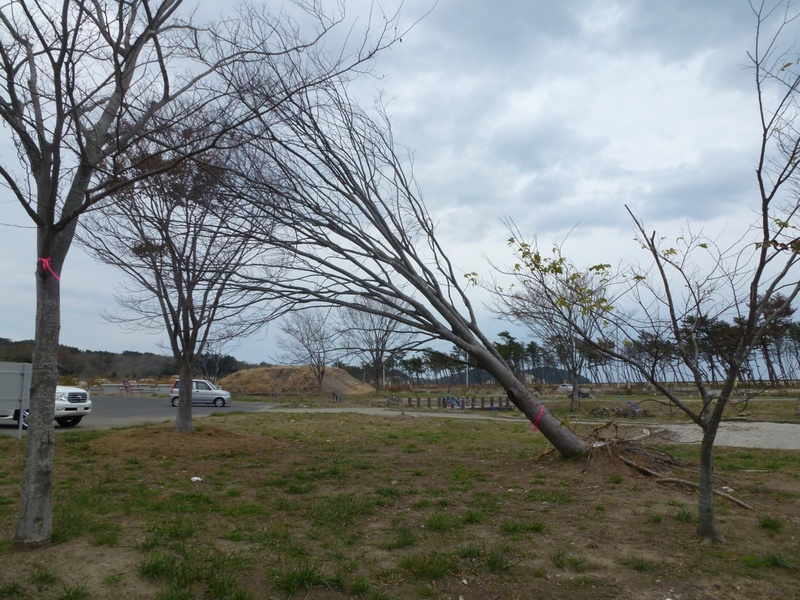 Though over one year and a half have passed, scars of the tsunami still remained. 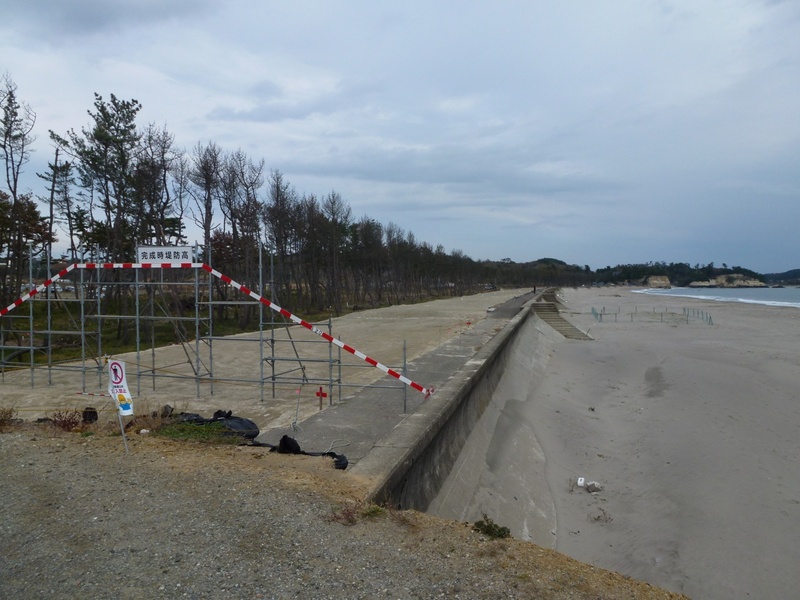 As seen in the background, the pine trees which had formed a windbreak along the coast were also damaged by the tsunami. Their lower branches were all torn and washed away. The red and white pole indicates the planned height of the new levee. The construction has not started yet. 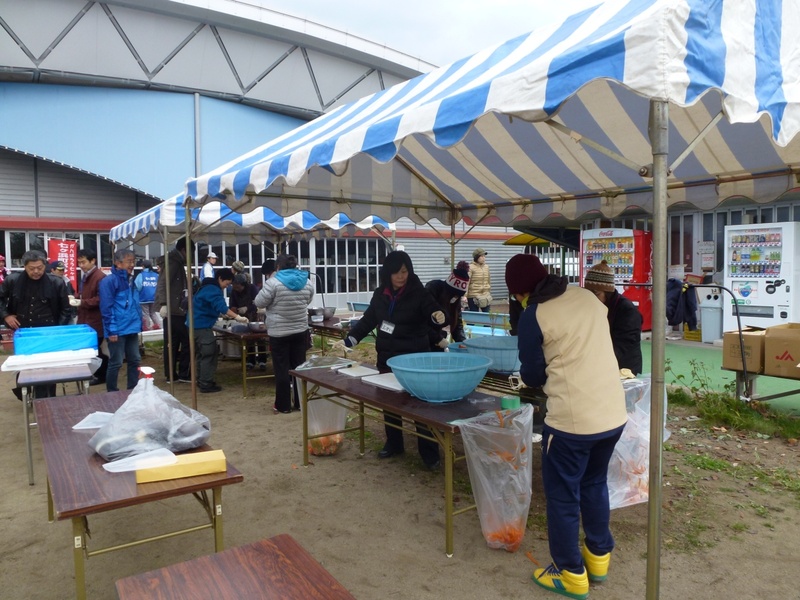 These people are in the middle of preparing bokke soup and rice balls (onigiri). 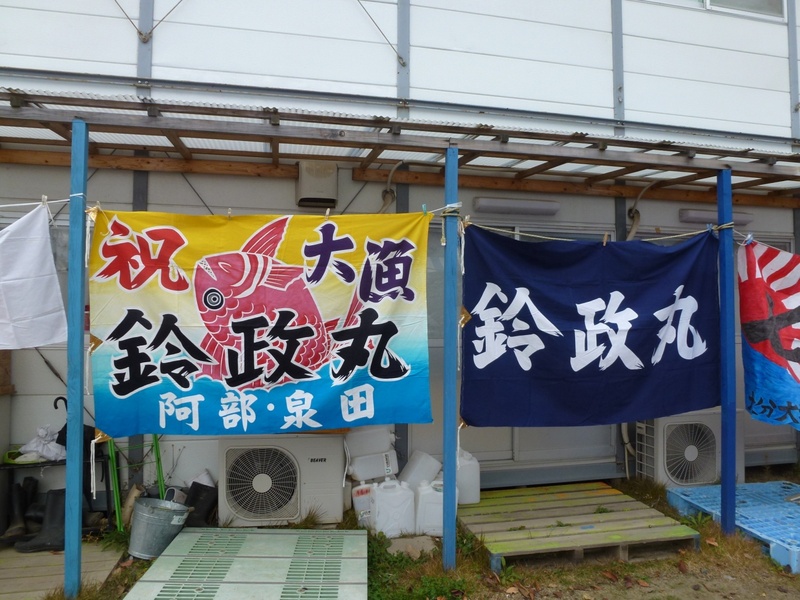 Dried nori seaweed sheets, which were cultivated at Shobuda-hama beach, are in the plastic bag on the table (on the left). Cultivating seaweeds was newly started after the earthquake, and this is their very first harvest. 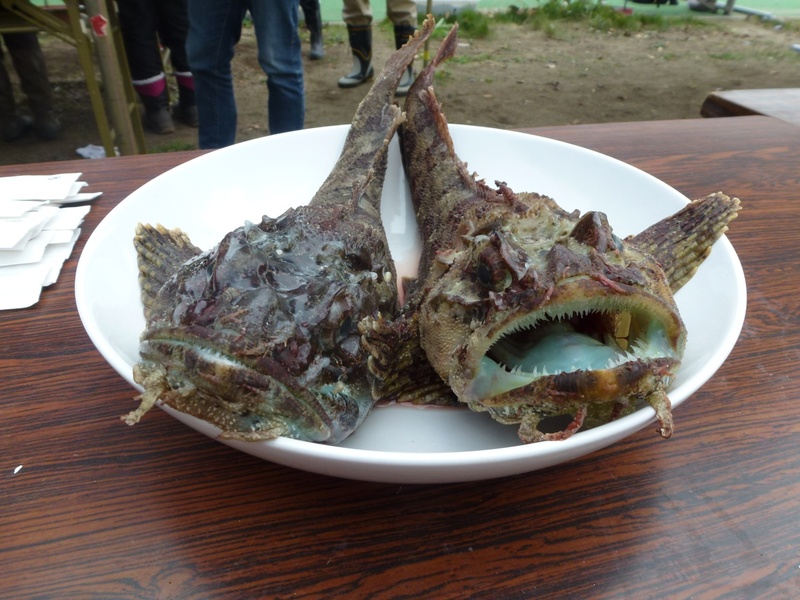 These are tairyobata of Mr. S., a fisherman from Shichigahama. The bokke festival was held by Mr. S who generously wanted to express gratitude to the volunteers. This is bokkesoup. 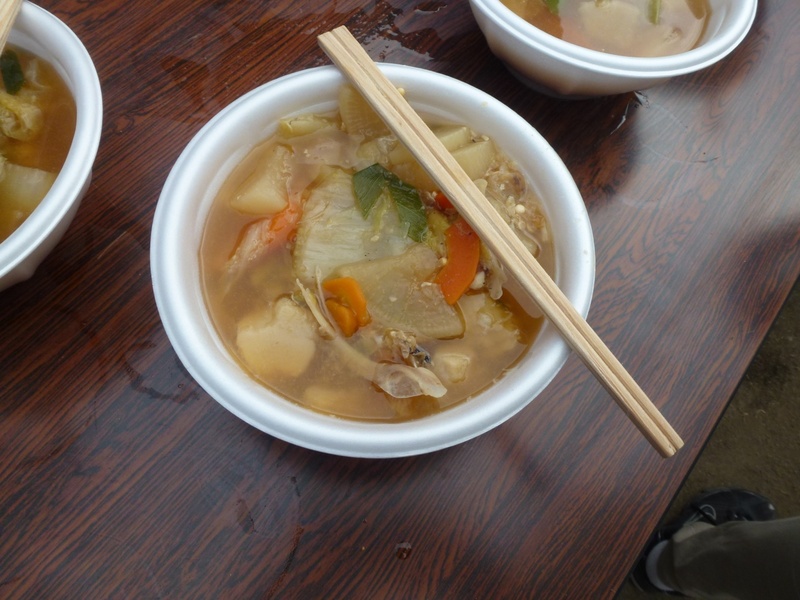 This soup is seasoned with miso (soybean paste) together with daikon radish, carrots, green onion, satoimo (a kind of potato that has similar taste and texture to taro), and bokkeliver and roe. It was very delicious! Thank you very much! 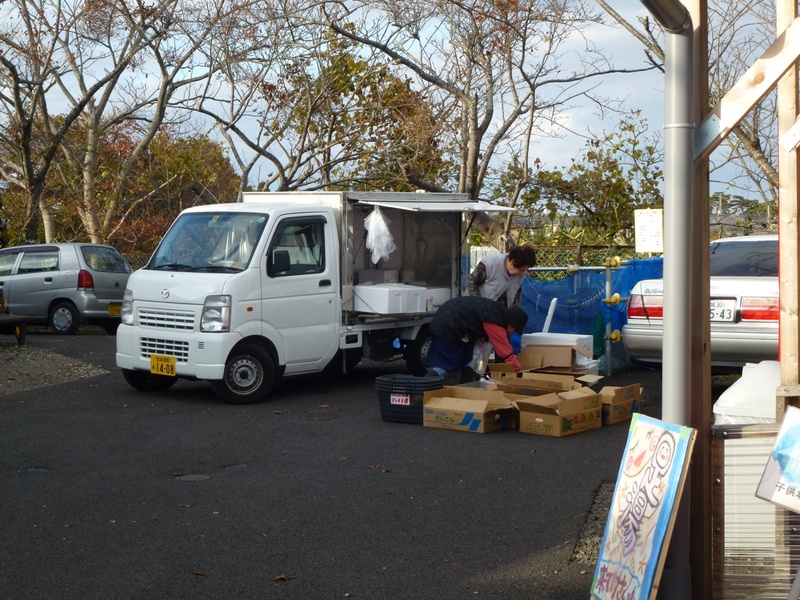 The van came to sell grocery goods for the residents at the temporary housing. May the people at the temporary housing get back their ordinary life before too long.